A simple effort or spending calculator which allows you to precalculate the costs. 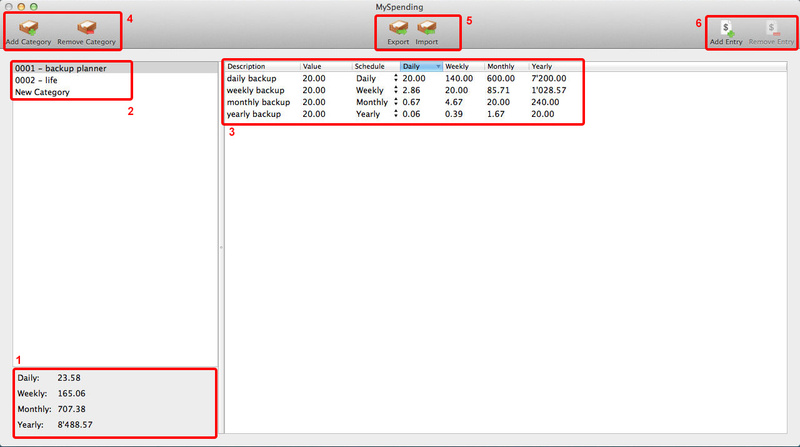 It can be used to calculate the size of a backup plan or to overview our livelihood. The app allows you to categorize your spendings. The categories can be exported and imported. The costs can be copied to another category per drag and drop.